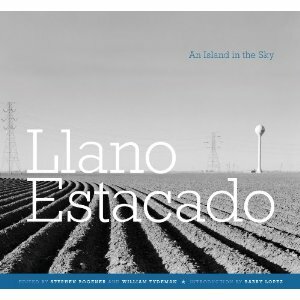 Llano Estacado: An Island in the Sky edited by Stephen Bogener and William Tydeman. Texas Tech Press, Lubbock, TX. 2011. As a New Mexico llano lover I was anxious to take a look. It certainly is a coffee table book: large format, black and white photos accompanied by appropriately long essays. The library’s award description points out that neither the photographers nor the essayists were given much direction. True enough. Some of the essayists tried to link to the photos; others used only one. For others just the thought of the llano served as a launch pad to say whatever he or she wanted to say about: Lubbock, conservative cowboy culture, old friends, childhood memories, or aquifer depletion in an arid area where cotton and cattle join oil as extractive industries. 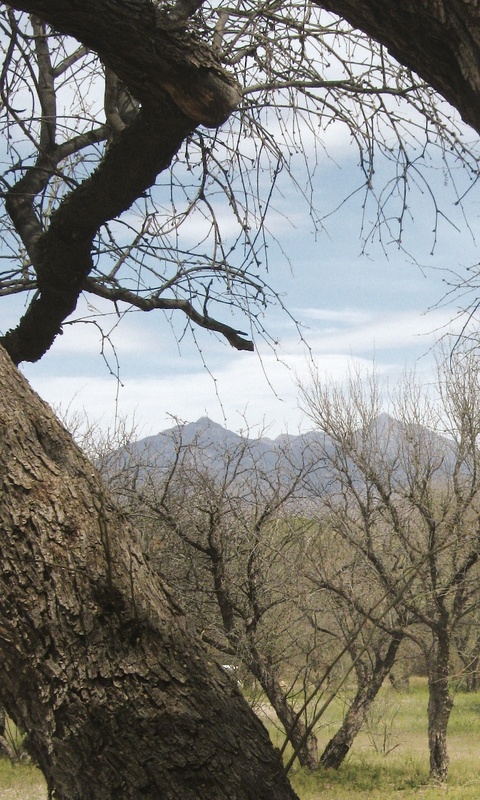 New Mexico is rarely mentioned; the Llano seems a West Texas phenomenon. Interestingly, of the fifty-plus photos only two show the Llano as it intrigues me—without humanity and our desolating impacts, glorying in its sheer raw nature. Both are from eastern New Mexico. 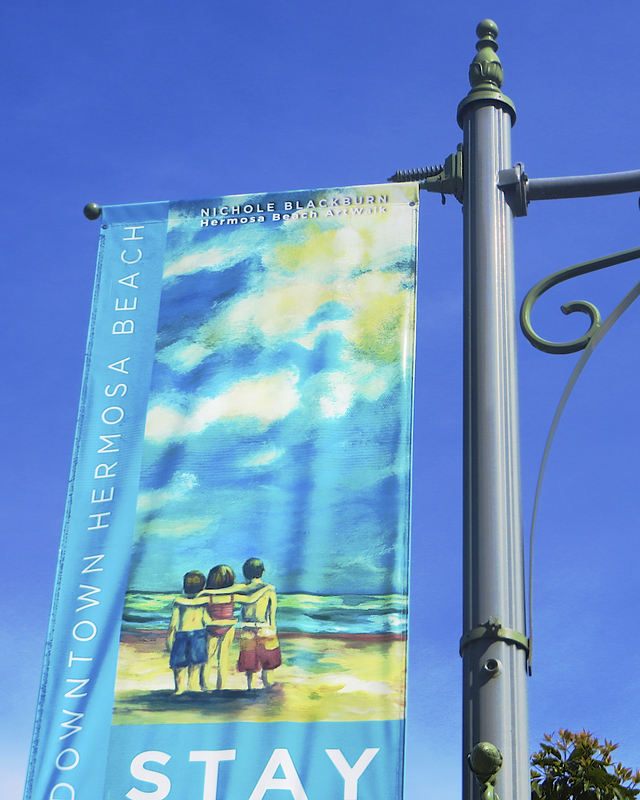 The final essay which takes the book’s second title “An Island in the Sky” is a great introduction to the history of the llano. I wonder if it might have served better as the first essay to set the stage. And I really could have used a clear simple map. The book’s map which spreads across the cover, front inner to back outer, is overly detailed and very difficult to read, especially for anyone who sees it library-style, with its dust jacket tightly taped down. “Again and again (maybe we don’t always see what we want to see; maybe we can be instructed, or re-instructed, yet, to see things differently), I witness in these photos not the scrappy pride of yore nor the calm content of relative (or perceived) self-sufficiency in the subjects, but instead the outer edges of despair. I do not want to see despair or confusion, nor passivity or waiting, but there it is, again and again…. Doubt is a bitter, weakening thing, as debilitating, I think, as regret. I want to believe I am not seeing what I think I am seeing…. About those landscape photos: they strip away my childhood memories of a more spacious and vibrant and resilient relationship—the town and communities of the Llano, at the healthy edge of further, farther, less-managed landscapes—and reveal, like a surprising glance in the mirror for the first time at a lined face and graybeard stubble—how can this be?—a land stretched very very thin. And upon that living canvas, that fabric, our species has made mistakes; unremarkable, uncomplicated mistakes, generally involving overreaching, often but not always tinged with greed, or at the very least a lack of respect for anything beyond ourselves, and then, fairly quickly, as things sagged or went away, a lack of respect even for ourselves. Simple mistakes and assumptions made on a large canvas repeatedly across time, out in the wide-open, in a land not of bounty but, more often than not, relative paucity. Mistakes made not in the remote backcountry of the West, nor paved and chromed over by the glitter of urban dreams and desires, nor masked by the vegetative uproar and foliated disguise and clamor of either the Northeast or the deep South, but instead mistakes made out in the clear wide-open, illuminated by a brilliant aridity that is, in the end, less forgiving than other landscapes, and I fear, less resilient…. I am not judging. Maybe there wasn’t time. I am not suggesting any of us would have done any differently. I am just looking at the evidence, or what seems like evidence, in these photos….